Thank you for supporting the College Key. 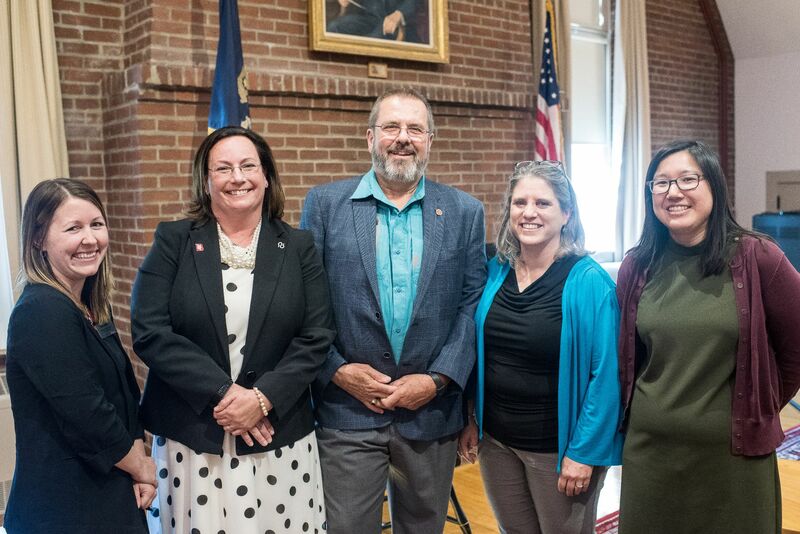 The programs of the College Key, which further our mission to enhance life and career choices for Bates students, would not be possible without the continued support and dedication of the current College Key members. This support, through the collection of annual dues, allows the Key to raise and disburse over $20,000 a year to College Key programs, as well as several other important activities, scholarships, and awards at Bates. If you do not have access to a printer and would like to receive a paper copy of the dues invoice, please contact Meredith LaChapelle at alumni@bates.edu. Reminder: While your College Key dues and additional gifts help support many worthwhile programs at the college, they are not substitute for annual support of the Bates Fund. To make your gift to Bates directly, call toll-free 888-522-8371 or visit bates.edu/give. Please note that College Key dues cannot be paid on the Bates Fund site. College Key Executive Committee at the Annual Meeting on June 8, 2018.